gadgets, in addition to other areas in the market, the question is that Pyle is one of the companies that still see life, In areas of the market that have gradually lost ground. The photographic prints are not that they are disappearing, but in an era in which almost anyone can take a photo to a resolution of up to 4K, and to keep the digital copy, well, precisely, for which it can take advantage of, it will turn out to him quite cheap in the long run. But old habits are not forgotten, just like retro memories, and Pyle has opted for the creation of a portable photo printer. A small printer, dimensions 6.2 x 3.2 x 1 inches, as well as comparable in size to the Samsung Galaxy S6 or iPhone 6, in addition, its weight is about 1.01 pounds, which also makes it a very light printer. Its lithium battery is 620 mA, establish connection via wirless with your phone, which will be that you will send to print your photos. From the phone the only thing you will need will be the “PicKit” application, which you can find for iOS and Android, also from this app you will have several options for editing the photos, as well as clippings, Templates and frames. The formats read by the printer are JPEG and PNG. The prints are handled through a single system that will ensure that you do not have to refill ink cartridges, so you only have to change a single cartridge, which gives you the opportunity to print 10 photos for each of these, And the photos will be printed in a resolution of 291 dpi. Therefore the commercialization of these cartridges, these will be sold in packs of two cartridges for the price of $ 20.99. 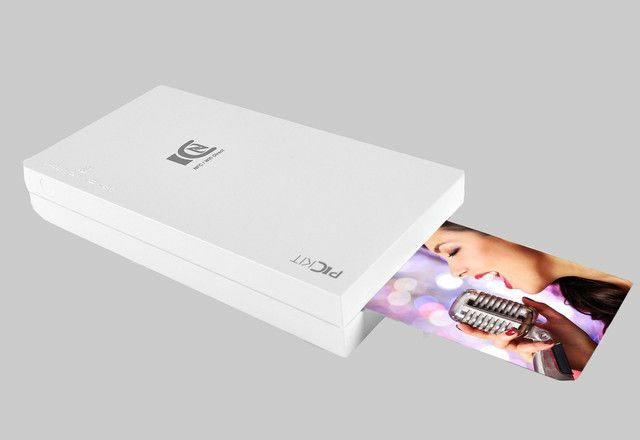 The Portable Instant Photo Printer is currently on sale for Amazon’s price tag at $ 109.99. With a system of 10 photos per cartridge and considering that the price brings two cartridges, which is equivalent to 20 photos to print and also in the interior of this already has all the materials needed for the prints, this can turn into a A considerable option to buy and, perhaps, an article profitable for those who venture into the world of photography.